Bonus: Menu Interactive, Sélection des chapitres, Sous-titres..
Ru-Ba-Ru is a modern day story of two ambitious individuals finding there destiny through the greatest human manifestation love, but of course with a twist! 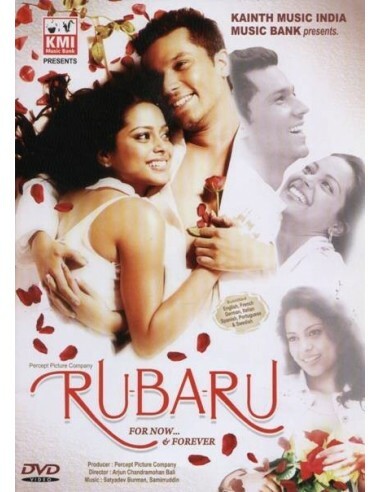 The film revolves around a modern couple Tara (Shahana Goswami) and Nikhil (Randeep Hooda) who are in love; Tara wants to cement the relationship by seeking commitment in marriage. But Nikhil, a workaholic, is always pre-occupied with his clients and work and he is happy with the way things are between the two of them. The trouble in paradise starts off with Nikhil constantly forgetting small little things that make a relationship work. He starts taking his girlfriend, her family and friends for granted. And the day comes when Tara cannot take it anymore. As she decides to take matters in her own hand, a strange magical, mystical force intervenes, and the drama unfolds!